The recent groundswell of support for the Greens has made them something of a dark horse in British politics. Will the party build on Caroline Lucas’s 2010 breakthrough and convince the electorate that they will govern for more than just the environment? Deputy leader Shahrar Ali recruits some of the Greens’ leading thinkers and activists to explore how the party provides a credible left-wing alternative to Labour in 2015. 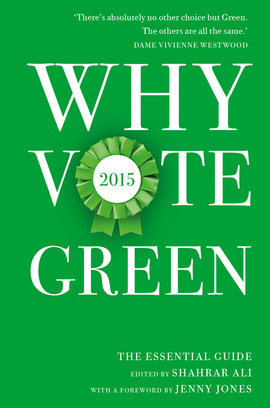 Setting out the party’s key policies, commitments and ambitions, Why Vote Green 2015 creates a compelling case for the Greens as a party of government, and will prove invaluable in helping you decide where to place your vote. There’s absolutely no other choice but Green. The others are all the same.